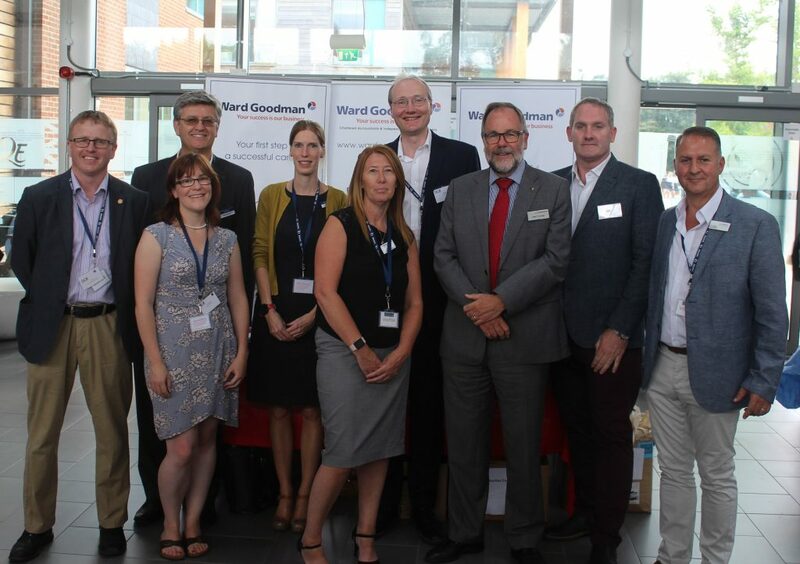 Ward Goodman, the Dorset based firm of Chartered Accountants and Independent Financial Advisers, hosted their annual Dorset Charities Conference on 5th July at Queen Elizabeth School, Wimborne. Now in its seventh year, the one-day conference provided Trustees, Fundraisers, Volunteers and Chief Executives from the charity, and the not-for-profit sector, with an understanding of current issues affecting the sector and also opportunities for networking. Jon Yates, Chief Executive at Dorset Community Foundation, gave an engaging and passionate presentation, including fascinating statistics on the state of the charities sector in Dorset. Jen Richardson, Head of Charities at Ward Goodman, gave a presentation on governance, accounting and tax, which included useful links to Charity Commission guidance. Geoff Trobridge, Head of Charities and Social Enterprise at law firm Lester Aldridge LLP, gave delegates a timely guide to some of the legal considerations surrounding charity mergers. Sarah Wrixon, from Summers Insurance in Wimborne, reminded the delegates of the importance of insurance cover, including cover for cyber-crime and data breaches. Bev Jesse from Teachers Building Society, and Ian Girling from Dorset Chamber of Commerce and Industry. also spoke in the morning session. The afternoon speakers were Ian Jones, Head of Regional Community Partnerships, Bournemouth University, and Dr Claire Routley, a vastly experienced fundraiser, who provided thoughtful insights into legacy fundraising. Chris Beale from Poole Council for Voluntary Service, concluded the day with closing remarks prudent to the sector in Dorset. The event was sponsored by Teachers Building Society and supported by CAF Bank. To find out more about how Ward Goodman can help your Charity, Trust or Not-for profit enterprise with accountancy, audit or financial services, please email charities@wardgoodman.co.uk or call 01202 875900. Ward Goodman offers specialist services to charities, having provided accounting and auditing services to charitable organisation throughout the South. Their services include independent examinations, charity accounting, taxation and gift aid reclaims, VAT advice, Trustee support and governance training.